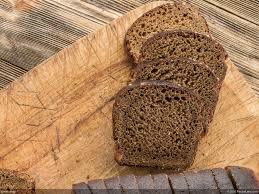 Black bread or rye bread is a variety of bread made from flour from rye. The color of black bread can be bright or dark black, depending on the amount of flour used and the dye used, this bread is more dense than white bread and white bread made from wheat flour. Fiber from rye bread is higher than other breads, darker and has a very sharp odor.